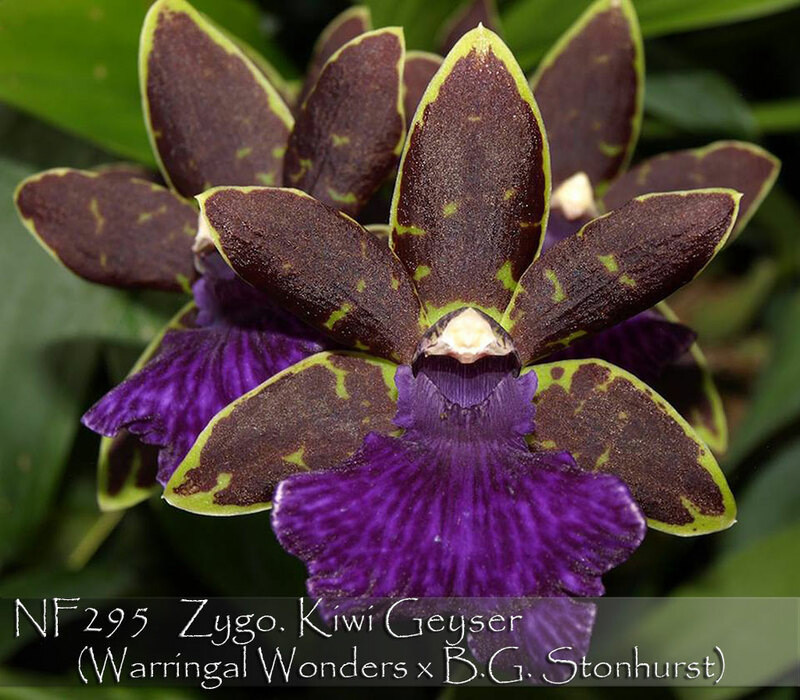 Our award winning Zygopedilum hybrid is always a hit during Christmas to Valentine's Day. Extra large purple lip on kiwi green flowers. Very attractive foliage on compact plant. Fragrant!